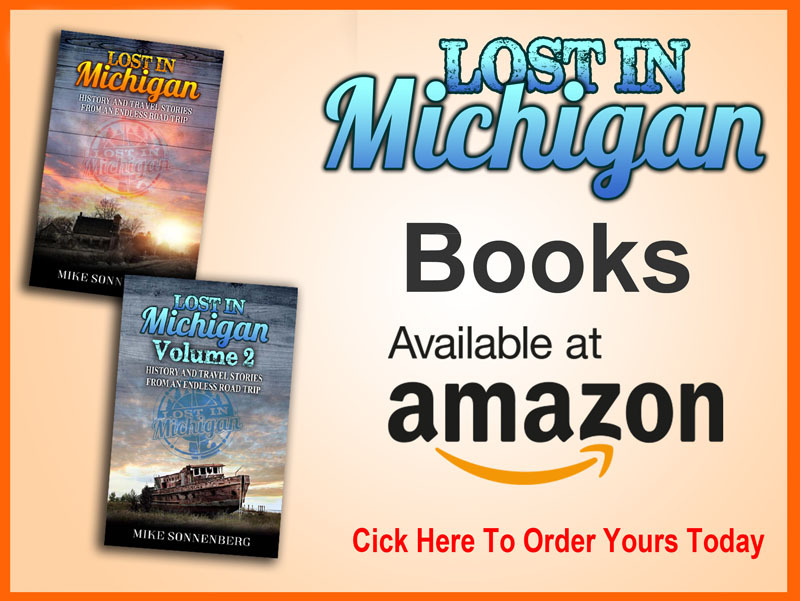 Books are also available at Charlin’s Book Nook at the River Place Shops in Frankenmuth. Thank you to everyone that entered the t-shirt giveaway this past week, I really appreciate all the kind comments and support, like I have said before, I wish I could afford to give you all a T-Shirt. If you want to purchase a shirt they are on sale this weekend, and then Tuesday they go back up to the regular price. I have been a little busy with shirts this past week, but now I can get back to doing more history research and have some great posts planned for the near future. 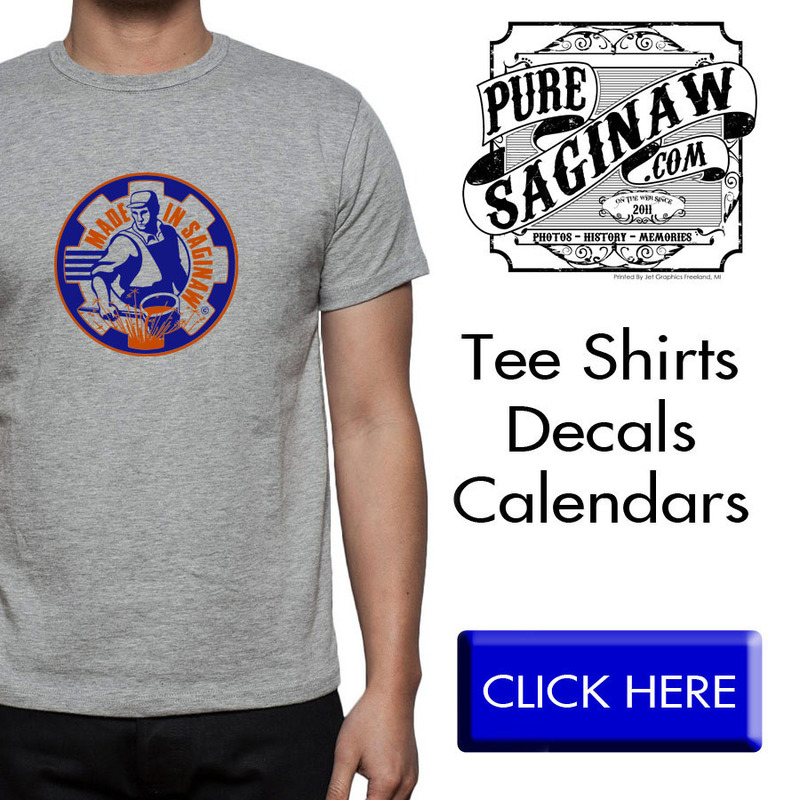 Congratulations to Robert Hartman he is the winner of the Made In Saginaw T-Shirt. 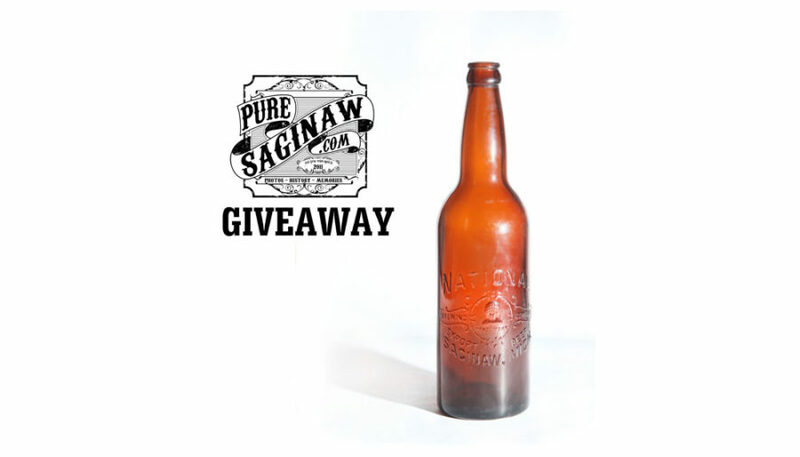 Congratulations to Robert Hartman he is the winner of the Made in Saginaw shirt. It’s been a while since I have done a giveaway, so I thought I would give away a new “Made In Saginaw” gray T-Shirt to one of my followers. Enter your name and email in the box below to enter, and a lucky winner will be picked at random Friday Night June 10th. 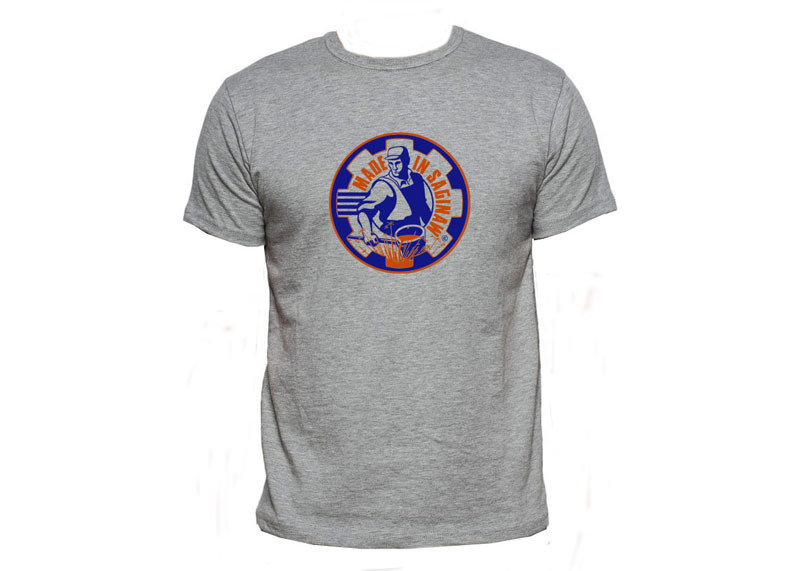 I will ship the winner their t-shirt to any U.S. address. Thank you for all the likes, comments, and Shares, I wish I could give everyone a shirt but I can’t afford that, I hope you will enter and “may the odds be in your favor”, or “may the force be with you”, or “were gonna need a bigger boat”, well maybe not that last quote, but good luck. must be a residence of the U.S.A. to enter and I will only ship to U.S. addresses. the winner will be contacted by email and has 14 days to respond. otherwise another winner will be selected. The winner will be chosen at random by the Contest Hopper app on Sunday night March 20th and will be notified by email. I will ship the lucky winner their shirt to any U.S. address. 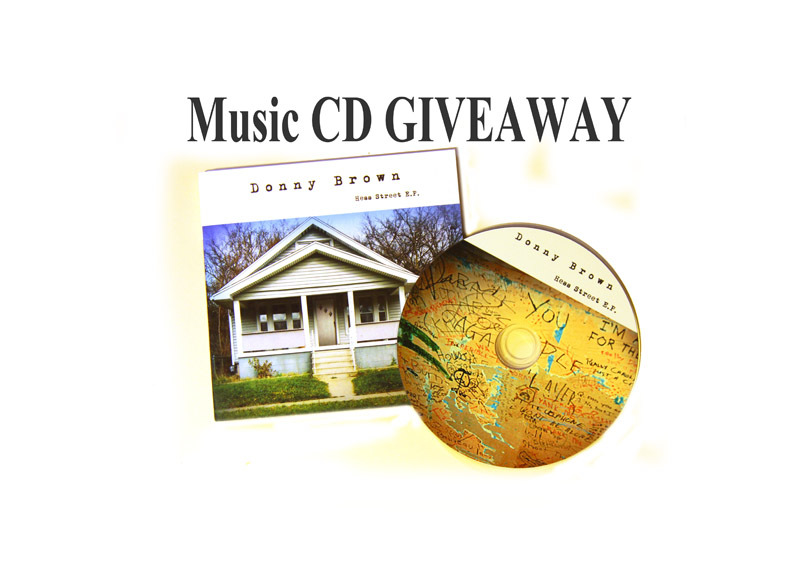 I hope you will enter, and it would mean a lot to me if you share this giveaway with your friends. 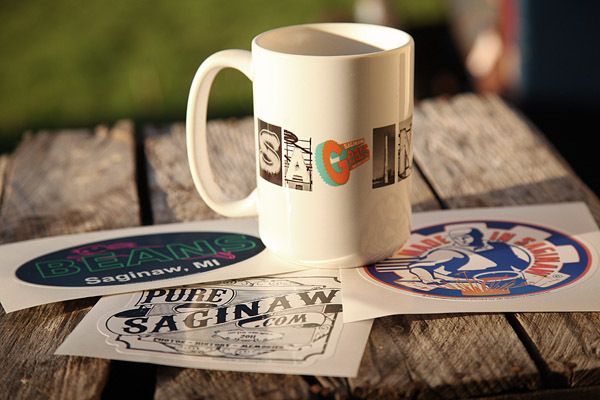 One lucky subscriber will be chosen at random to win a Pure Saginaw Mug and some Pure Saginaw Stickers. The winner will be chosen Sunday Night October 11th so you still have time to subscribe to have a chance to win. 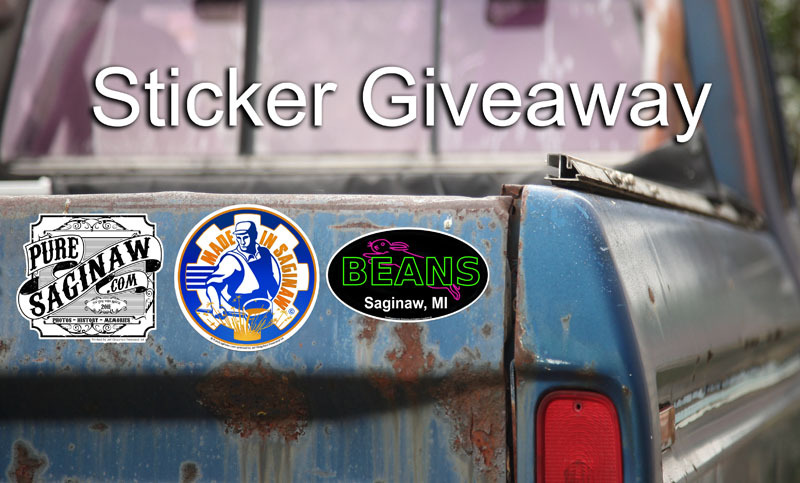 Subscribe to receive email updates from Pure Saginaw and you could win a 3 pack of stickers, and if your already a subscriber you are automatically entered. if you follow me on facebook they do not always show you everything I post, but if you subscribe, you will know when I have a new giveaway or post a new article. 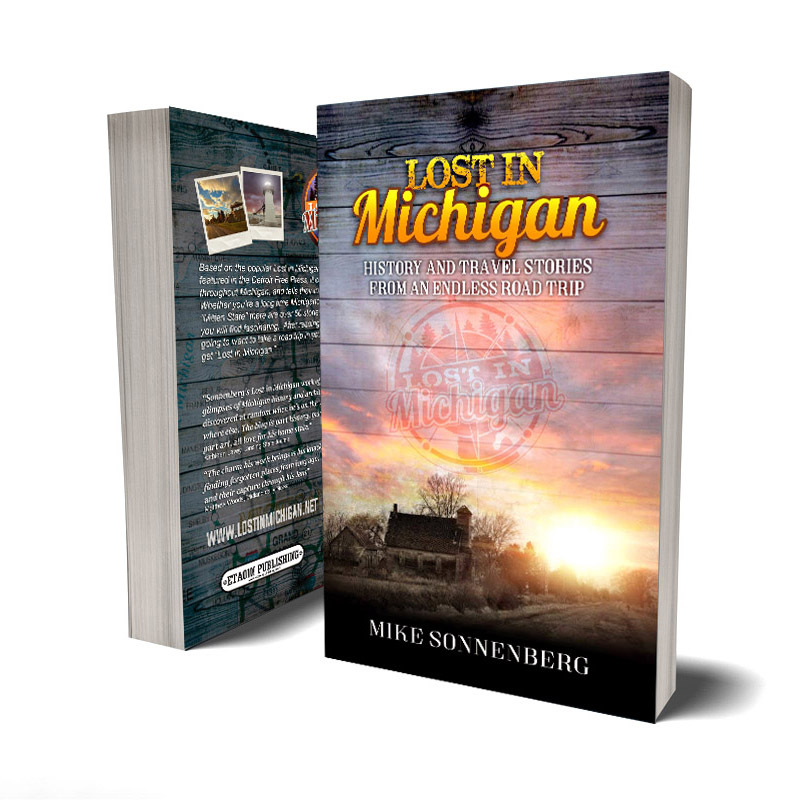 I promise you won’t get to many emails, I only post about two times a week, (that’s all I have time for) I do hope you will consider subscribing if you love Saginaw I think you will like what I post. You can unsubscribe at anytime, but you will miss out on future giveaways. The winner will be selected at random from the list of subscribers on Thursday September 3rd. a random lucky winner will be picked Wednesday evening June 24th. 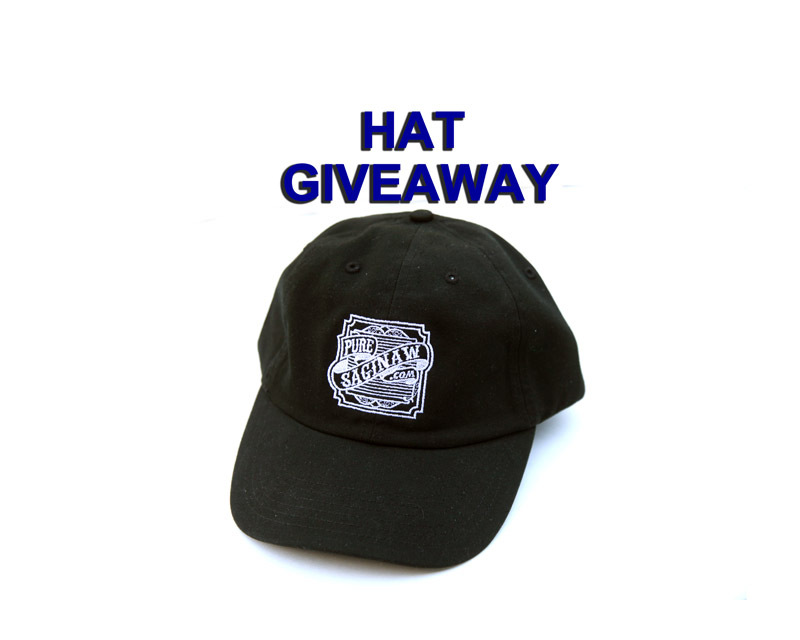 I will send out the hat by mail to any U.S. address. Donny Brown played some of his songs and reminisced about growing up in Saginaw at the All Area Arts Awards last week. He grew up on Hess Street in the house pictured on the cover of his C.D. titled Hess Street E.P. The giveaway ends Sunday April 19th at 9:00pm and a winner will be selected at random by the contesthopper app.